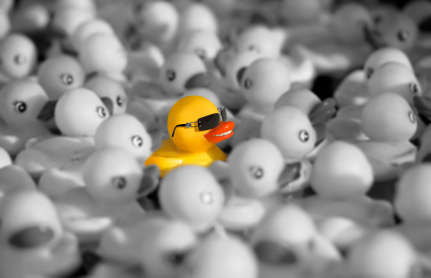 ARE YOU READY TO STAND OUT ? Are you an energetic, tenacious and hardworking new business winner who wants to earn big upfront and uncapped bonuses? Do you want work for one of the UK’s leading IT services, solutions providers with aggressive growth plans? Join a multi-award-winning business, which has been a leader of the IT market since 1992. Be part of our successful sales team that is driven by a passion for winning new customers and hitting targets. Enjoy all the benefits that create a home-like environment with a team that becomes more like a family. And, we've got all the soft furnishings and cool office tech you could imagine. This is a role for a successful field sales executive, able to take responsibility for the generation of new business leads and identifying business opportunities. We are looking for an ambitious professional able to take responsibility for winning new clients and closing deals. Key to the role will be ability to initiate communication through targeted prospect calling, clever use of social media and networking activity with the support of an award winning marketing team. You will be able to present the Probrand proposition to new audiences with any support/infrastructure challenges. Individuals who use their initiative often have an entrepreneurial spirit leaving them hungry for success. If this is you, then you fit the Probrand ethos. Probrand is driven by a passion for customer service excellence, best practice, best value, honesty and integrity and we employ people to reflect that philosophy. Furthermore, we practice what we preach, and all employees are empowered with simple innovative software 'tools' that support their roles and help them do a better job faster. For successful candidates, working for Probrand is your chance to build a fantastic career. Whether you are a Student, recent Graduate or a Working Professional - We want to hear from you!